(Chicago) – A new self-report screening tool is available to assist justice and health professionals to quickly gather detailed information about opioid use, allowing for more rapid referral to treatment services when appropriate. 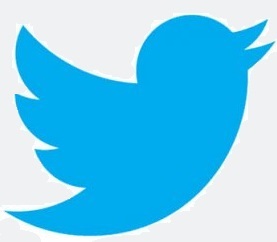 It also collects important information about potential risk of opioid drug overdose. 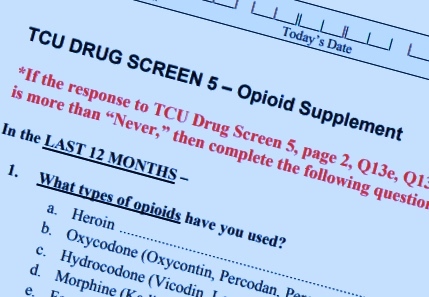 Developed by researchers at the Institute of Behavioral Research (IBR) at Texas Christian University (TCU), along with the Center for Health and Justice at TASC (CHJ), the TCU Drug Screen 5 – Opioid Supplement can help determine earlier in the screening and referral process if there is an immediate need for services to address opioid use problems. The 17-question screen is a freely available resource for addiction and criminal justice professionals , including treatment providers, case managers, pre-arrest diversion and deflection staff, pretrial service providers, probation and parole officers, and jail administrators. By asking questions such as the respondent’s frequency, purpose, and methods of opioid use, the screening tool offers information relevant to immediate need for treatment referral and service delivery. Given the extent and urgency of the national opioid crisis, responses may help professionals determine earlier in the screening and referral process if individuals should be prioritized for immediate placement into treatment, and also signal if someone may benefit from having access to naloxone (NARCAN®; EVZIO®) in case of overdose. The tool is a supplement to the TCU Drug Screen 5, which is based on the most recent Diagnostic and Statistical Manual of Mental Disorders (DSM-5). The TCU Drug Screen 5 screens for mild to severe substance use disorder, and is particularly useful when determining placement and level of care in treatment. Questions regarding permission to use the TCU Drug Screen 5 – Opioid Supplement, as well as specific information about the form, should be directed to Dr. Kevin Knight, deputy director of the Institute of Behavioral Research at TCU, at ibr@tcu.edu. The Center for Health and Justice at TASC (CHJ) is the national training partner for TCU’s Institute of Behavioral Research. For training on the opioid supplement and other TCU resources, contact Jac Charlier, national director for justice initiatives at CHJ. The Institute of Behavioral Research (IBR) at TCU is a national research center for evaluating and improving treatment strategies that target reductions in drug abuse, related mental health and social problems, as well as other significant public health risks. TASC, Inc. (Treatment Alternatives for Safe Communities) provides evidence-based services to reduce rearrest and facilitate recovery for people with substance use and mental health issues. Nationally and internationally, TASC’s Center for Health and Justice offers consultation, training, and public policy solutions that save money, support public safety, and improve community health.